Managing a Joomla event or involved with any tech event or conference? You need a website with a event management system built-in. Thankfully, Xpert Event can handle all your tidious managemental task and allow you to focus what important for your event. 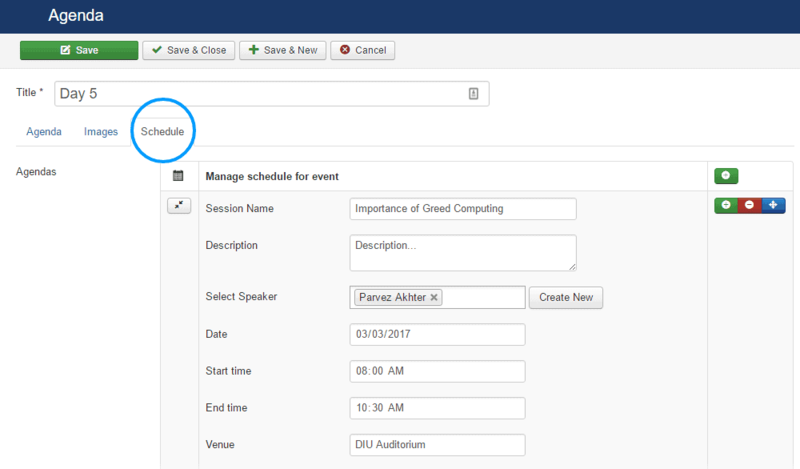 Its a powerful event management extension for Joomla that makes scheduling, speaker managemtn easier than ever. You can add speakers and quickly modify their information, distribute speakers across seperate slote and manage agenda, all in one place. We also have Joomla templates for event management, based on Xpert Event. Easily manage event related tasks. Event scheduling, add speakers, managing agendas, and other necessary tasks quickly. Speaker detail information including his/her detail biography, social profile, photograph, and the option to perfectly positioning all those stuff. All features are very easily understandable. Event-wise dividing speakers in the easiest way. Supports all web browsers including IE, Firefox, Chrome, Safari, Opera as well. Installation of Xpert Event is a fact of simply a few clicks. The most interesting part is, you need not know coding as per setup or configure it either. It has a rich, user-friendly Dashboard through which even a non-technical man can configure it within a couple of minutes. In short, it's just simple. Add or Delete speakers and divide them into different schedule to make an agenda is now been simplified. Try it, and you won't feel hassle we promise. Making agendas without time overlapping and dividing speakers was used to be a critical task indeed. 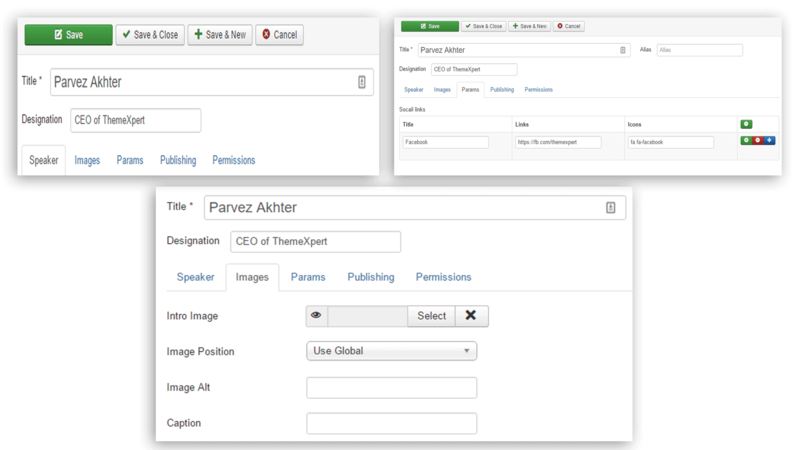 But now, managing hundreds of agendas with no time overlapping is possible by our xpert event component. It is just amazing. It shows you an eye-catching representation of the events been created in it. Its very much user-friendly. Now event management is in your grab.